I have absorbed some @petshopboys laser beams at @RoyalOperaHouse. 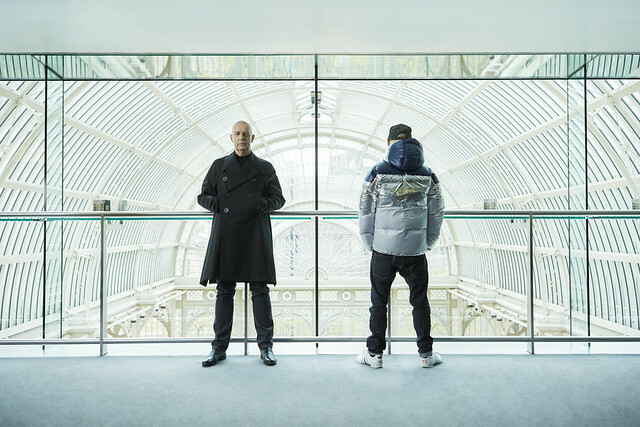 What did you think of Pet Shop Boys' Inner Sanctum? An absolutely fantastic night, pet shop boys at their best so many of my fave songs with an amazing light show and a wonderful atmosphere all wrapped up in the best venue in town! Simply stunning. The sound, the visuals, the music, the staging, the venue. Pet Shop Boys should definitely tear the roof from “The House” every year until they can no longer stand up..! Please keep it crazy banging “Boys”, it was EPIC on an extreme scale! I was lucky enough to go to the Wed and Thu performances and am still on a come down with massive withdrawals..! Absolutely brilliant, great show Chris & Neil (as ever) and what a venue to see you in! Brilliant as always, nice venue, lasers amazing, music and acoustics great! Never been disappointed at one of their gigs yet. I was in awe of them last night! Everything was mesmerising. Please let them come back to your beautiful venue again!! I was fortunate enough to see this show last time at the ROH and then went to New York’s Maddison Square Gardens to see it. I was thrilled to hear it was returning this year and went along Friday and Saturday night. Outstanding show, fantastic atmosphere, brilliant night out. The Pet Shop Boys go from strength to strength and never fail to deliver. My now wife of thirty years came every night this week.Our first date was the petshop boys ,she was from kensington i from stepney . You boys complete our our lives. I say only: wow wow wow. Went 2 years ago, and again Saturday - have been looking forward to it since I booked way back in February!! The most amazing experience ever!!! Please, please, please come back again Pet Shop Boys! Totally outstanding, disappointed to leave!! Since I was lucky enough to get tickets I have been in a state of excited anticipation! My son and I saw the Thursday show and OMG we were blown away. The staging, lasers, amazing musicians and dancers were sublime. Neil's vocals are as pure and clear as ever, Chris always delivers! Thank you boys! What an amazing show. The light show was out of this world. Neil's voice has not changed over the years, just like listening to their CDs. Please, please do another concert. The Pet Shop Boys just get better every time I see them, but this was absolutely "SUPER". Roll on the 25th time I get to see them. Royal opera House is a great venue. Been here twice now to see PSB. Neil, your voice just gets better with age. Chris, the music you create is fantastic. LEGENDS..
That was pure Pop Art. Hope to see more of it @ ROH. Went to two concerts at the ROH and was just blown away by it! Pet Shop Boys are still pure TOP! Thanks Neil, thanks Chris, thanks ROH for hosting my all time favourite band!! Hope to see Pet Shop Boys soon again at ROH! It was fantastic, wish could do it all again. I applaud the ROH's initiative in hosting the event. A spectacular evening in all aspects........performance/lighting/presentation/memorable appeal. Neil and Chris as the famous Pet Shop Boys have always been, still are and will always be the GREATEST! My husband and me were so lucky to get tickets for the show on 27th July and we were just THRILLED of this fantastic venue and their show! We have already seen the SUPER show in Leipzig (November 2016) and Dresden (June 2017) from front row! For ROH,we just happened to be in London during the time of these 4 shows for our 10th wedding anniversary.